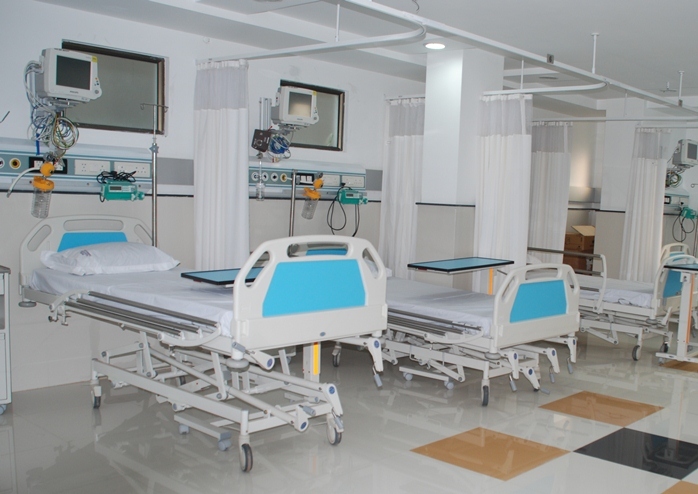 Having 9 ICU beds with well trained doctors, intensivists, nursing staff and equipped multipara monitors, syringe pumps, infusion pumps, Defibrillators, ECG machines & mobile 100 mA X-ray machine. 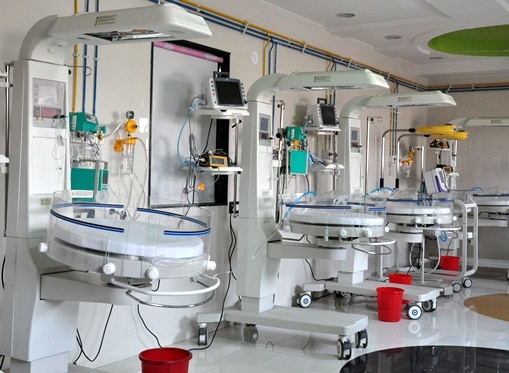 It is equipped with servo controlled open care warmer, LED phototherapy, syringe pumps, volumatory infusion pump, ventilator, C-PAP and exchange transfusion. 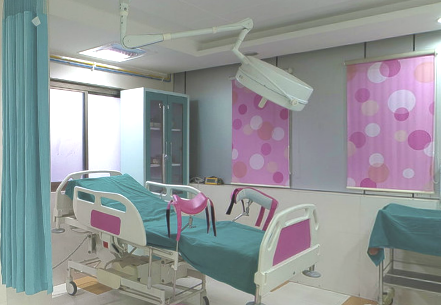 Four Bed labour room and a delivery OT with motorized delivery table equipped with neonatal warmer for resuscitation. 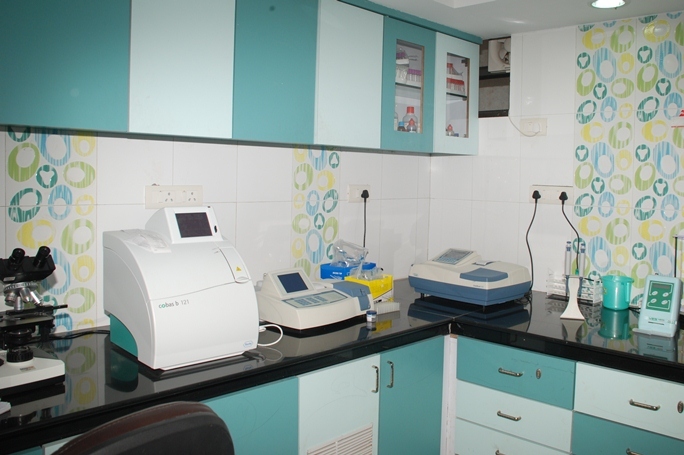 CTG machine for continuous foetal monitoring and also having faility of painless delivery. 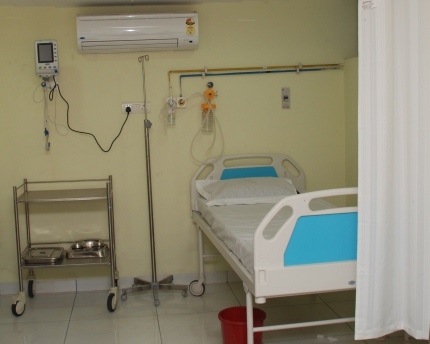 6 bedded general ward fully air conditioned, separated by curtains for privacy with LED television and homely sanitation. 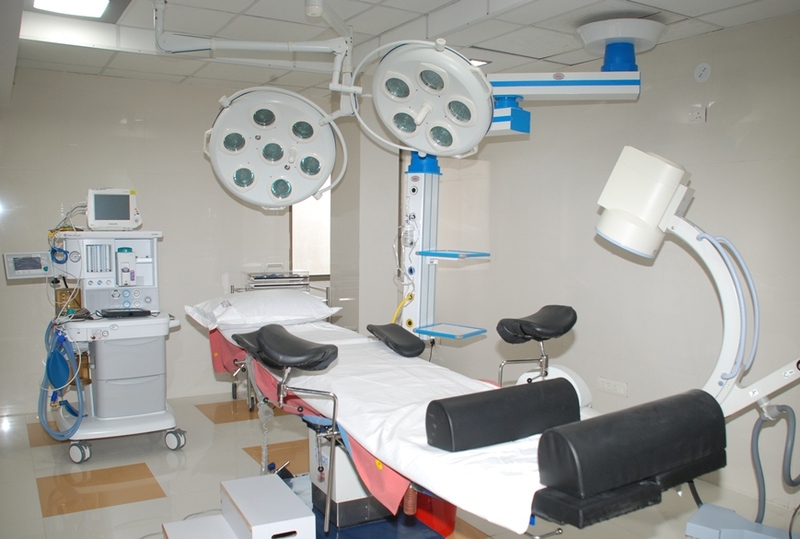 With the capacity of 60 patients at a time sitting arrangements. The hygienic AC waiting hall with a big LED Television and cafeteria is definitely one of its class. 24 Hrs well qualified technician and doctors high end modern equipment which provides accurate results. 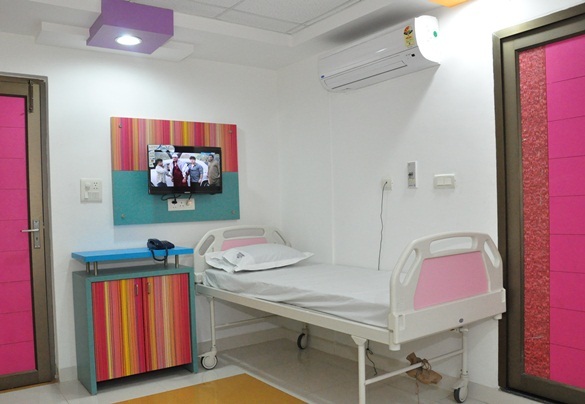 It is homely, hygienic with attached toilet, AC & LED TV, Attendant Bed, Spacious colorful, soothing to eyes and calm environment. 24 hrs soft spoken skilled nursing staff and duty doctors. 22 Private rooms and 2 sharing rooms with attached toilets. 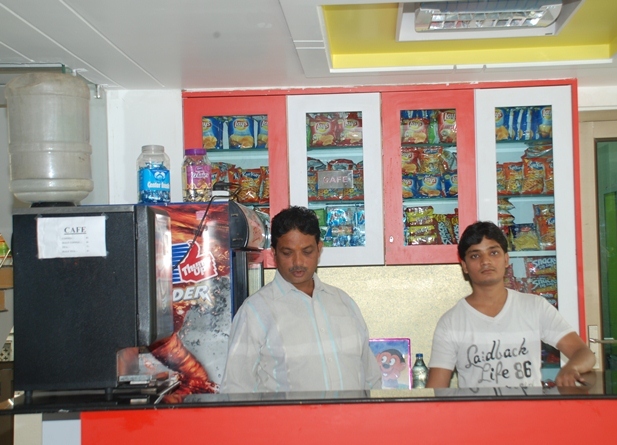 24 X 7 hrs chemist shop available with all emergency drugs for both hospital patients and outdoor patients. 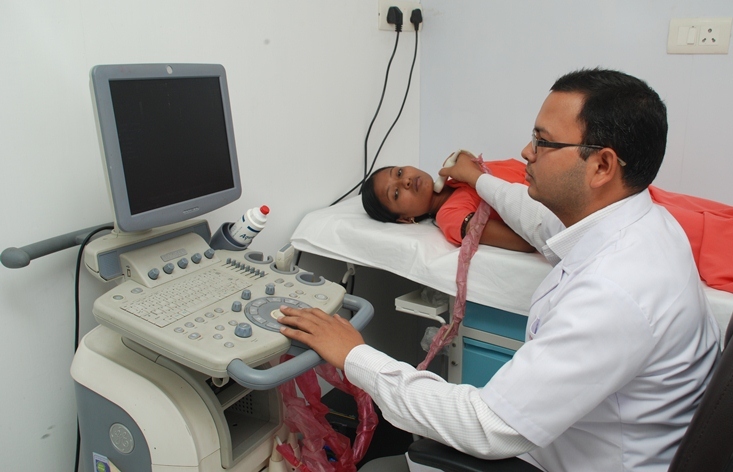 Logic P-6 provides high resolution pictures with color doppler, USG is done by experienced, skilled, academically qualified doctors. Echo Probe and TVS Probe. 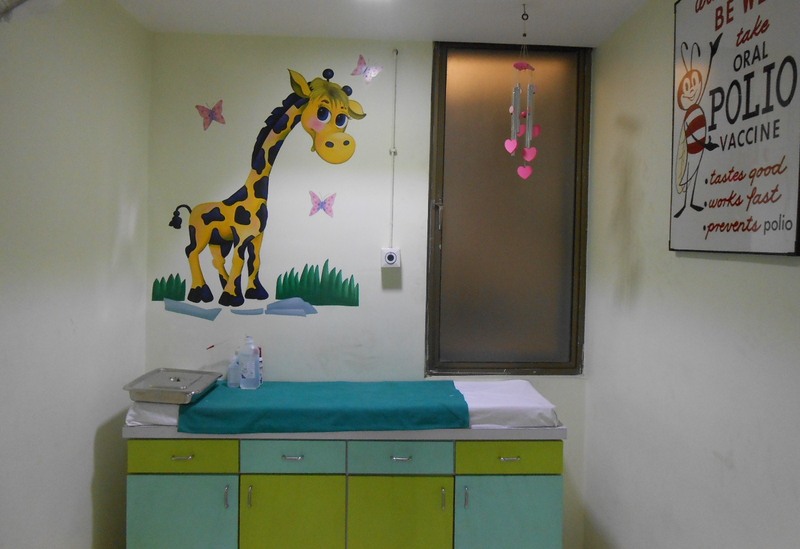 A very colorful, separate and child friendly vaccination room makes the vaccination a painless experience. 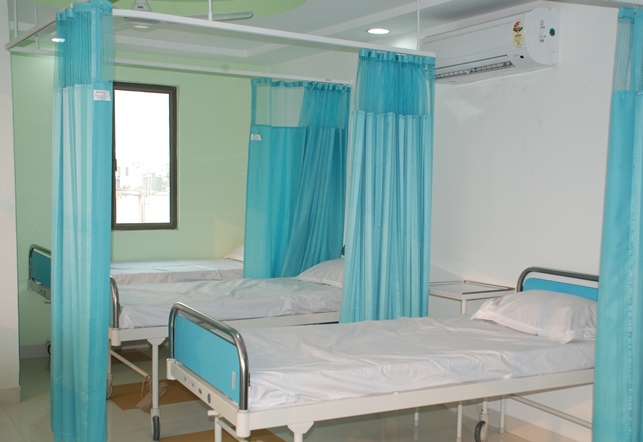 24 hrs X 7 days terrace canteen and cafeteria service gives ideal and better hospitality service even to the patients room along with the outer/OPD patient and attendants.